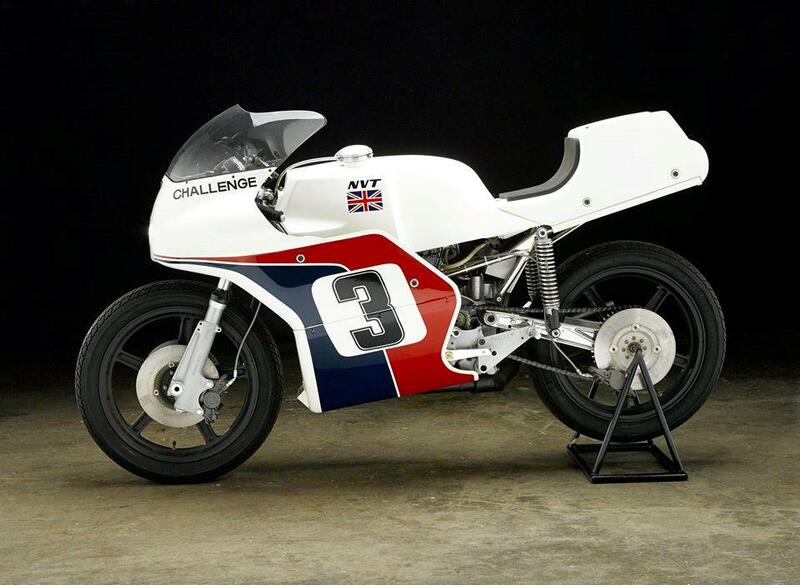 This 1975 Norton Challenge P86 was in its day the last great hope for British racing on the international stage. 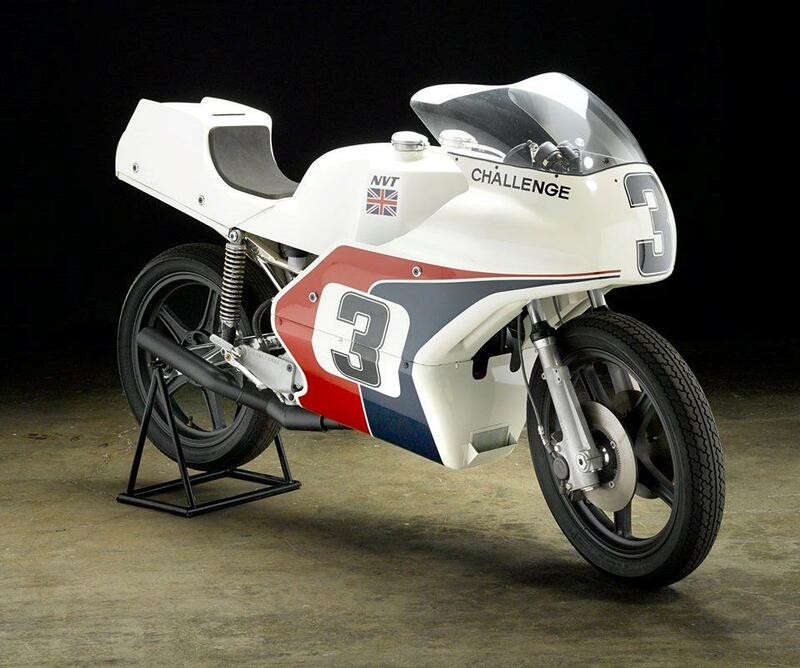 It represented the longed-for marriage of Great Britain's supremacy on four wheels with the aspirations for a return to the halcyon days on two. 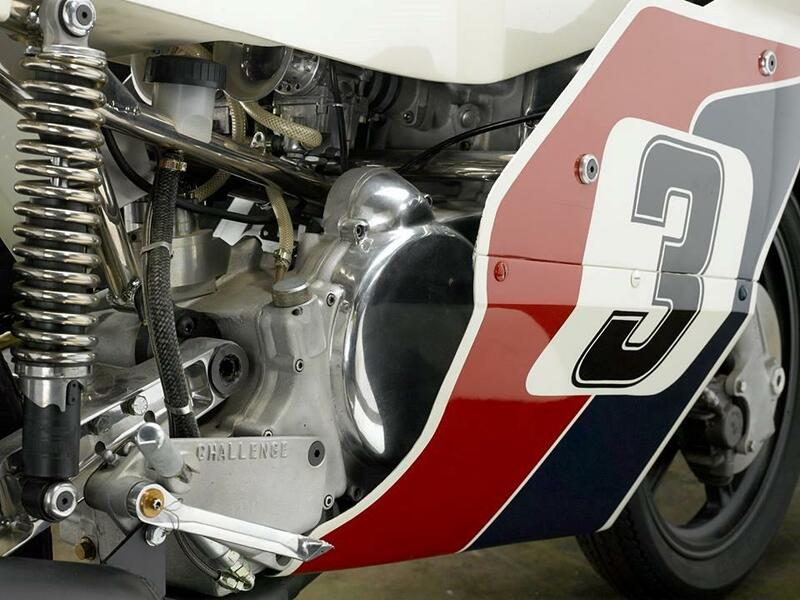 The Challenge's liquid-cooled dohc 747cc eight-valve parallel-twin motor was designed by Keith Duckworth, head of Cosworth Engineering and its chief designer, at the behest of ex-car racer Dennis Poore, chairman of Norton owners NVT. It effectively represents one-quarter of Cosworth's multi-F1 World Championship winning three-litre DFV Formula 1 design. NVT intended the engine to provide the basis of a new-generation road bike to replace its venerable air-cooled Commando motor, which would put Norton back in contention with its Japanese rivals in global markets. 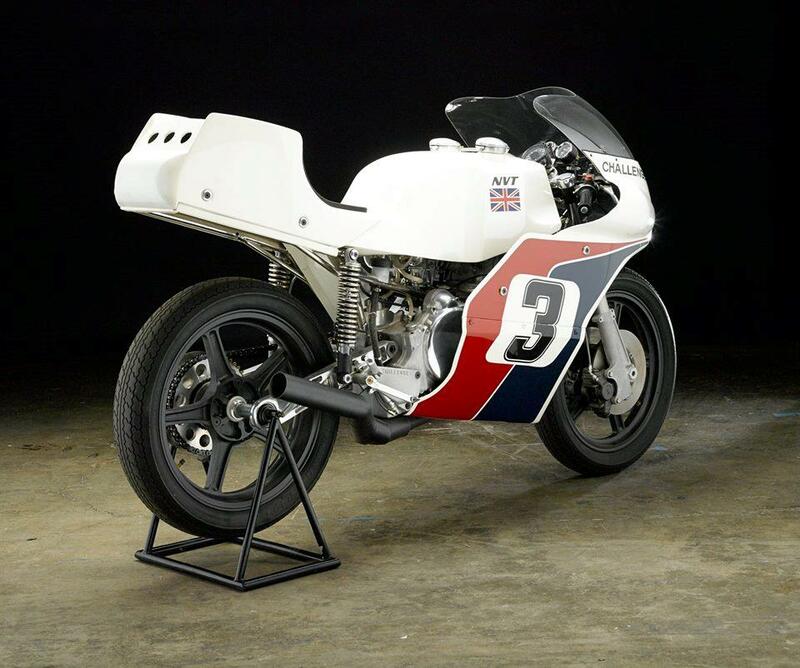 Parts for 25 motors were built, the minimum figure to homologate the bike for Formula 750 racing. The truly avantgarde Challenge design's most striking feature is the use of the engine as a fully-stressed member. 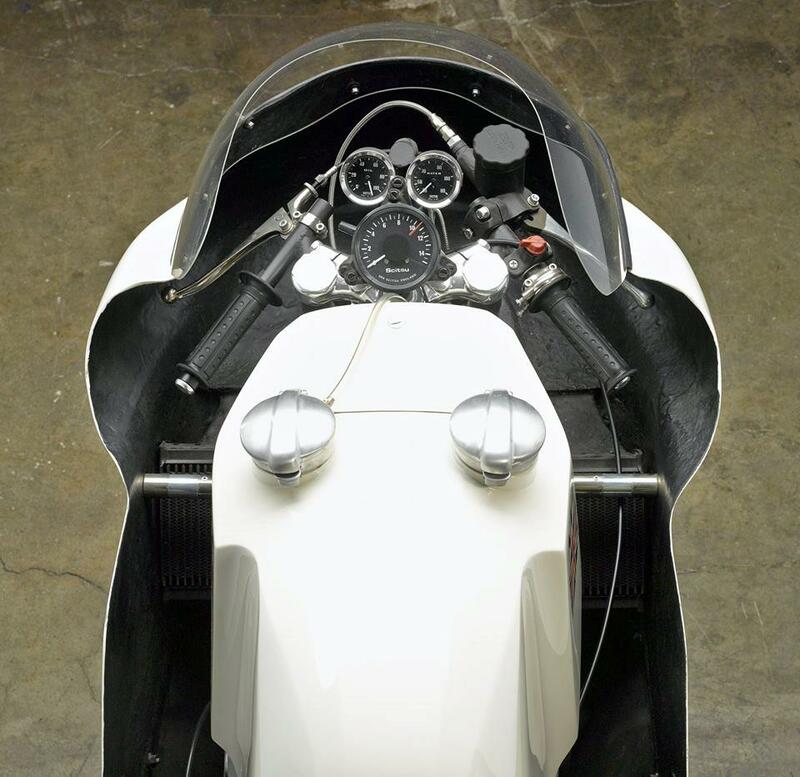 A tubular sub-frame bolts on top of the cambox to locate the front suspension, while the rear swingarm pivots in the gearbox casing – features which are now commonplace on MotoGP machines and some sportbikes, but which were pioneered on the Norton Challenge. Cosworth quoted 95bhp at 9,750rpm for the racing engine using 40mm Amal carburettors, and over 100bhp at 10,500rpm on fuel injection. But hampered by design intereference from backward-looking Norton engineers, the Cosworth engine was always underpowered and the bike's handling left much to be desired. The bike crashed on its racing debut and was soon mired in the wider company's disintegration.